The implementation of a new social services eligibility system in North Carolina dubbed F.A.S.T. has slowed the delivery of SNAP benefits for the program formerly known as food stamps. State workers in Cumberland County have complained that they would spend hours working on a case, only to have the recipient call the next day to say that the SNAP EBT card issued by the system would not work in a grocery store. Other workers have said that when technicians fix one glitch it causes another one to occur. The state plans to extend the new system to the Medicaid program. A bill introduced in the Hawaii Senate (S.B. 1331) would require the state to issue all recurring payments to consumers by direct deposit or by the states electronic benefits transfer debit card. Payments that would be covered under the new law include all public assistance payments, workers' compensation payments, state refunds, retirement payments and child support enforcement payment made through a court or other administrative tribunal. If the bill becomes law the effective date would be July 1, 2015. State legislatures have been very active in the first month of 2013 drafting bills to restrict where cash benefits like TANF can be used. Typical prohibited businesses include liquor stores, gaming establishments, adult entertainment venues, tattoo and piercing shops, fortune tellers and bingo parlors. However, New York Assembly Bill 3050, introduced last week, goes a little further. Paragraph G of the bill states that the state will also prohibit benefit access in "[a]ny business providing services that have been deemed inconsistent with the intent of the Office of Temporary and Disability Assistance." OTDA is the executive agency responsible for the administration of public benefit programs in the State of New York. The key word in this paragraph is "any." This is a big difference between what we've seen so far in benefit restrictions in other states where the prohibitions are targeted at specific businesses. This is more of an open-ended prohibition. What exactly is the intent of the intent of OTDA? What would make a particular business inconsistent with the OTDA intent? Take a race track, for example. We surely don't want beneficiaries turning into rail birds, gambling away their monthly cash benefits two bucks at a time. On the other hand, why shouldn't a groom, stable hand, or other low wage worker who might be eligible for a benefit access that cash through an ATM on or near the track property, provided the beneficiary doesn't gamble with them ? Who within OTDA is going to decide what is a prohibited location? How will OTDA set the rules for complying with this legislative directive? Is the legislature punting its authority to set law in this area to the executive branch, and if so, why? The problem with open ended prohibitions like this is that they raise more questions than they answer. We'll see how the Assembly and OTDA answer these questions going forward. For more information on public benefit restrictions visit the Electronic Funds Transfer Association. 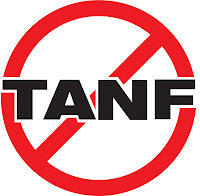 Yet another state is moving to block the access and use of TANF benefits. Oklahoma State Sen. Rob Standridge has introduced a bill that mirrors the 2010 federal law that restricts were TANF EBT benefits can be accessed or used. Like the federal legislation the Oklahoma bill would prohibit TANF EBT benefits in liquor stores, casinos and "[a]ny retail establishment which provides adult-oriented entertainment in which performers disrobe or perform in an unclothed state for entertainment." Indiana and New York are the latest two states to introduce legislation that would place limitations on the use of public assistance benefits. Indiana's bill (Senate Bill 413) would require the owner, the seller or third-party processor of an ATM or POS terminal to "disable" access to cash assistance benefits in specified locations. New York's bill, introduced earlier this week (Assembly Bill 2386), would prohibit the sale or purchase of alcoholic beverages, tobacco products or lottery tickets with public assistance benefits. A similar bill was introduced January 9 in the state Senate (Senate Bill 966). A separate bill introduced in the New York Assembly (Assembly Bill 461) would bar the practice of levying surcharges on ATM transactions that occur at ATMs on public university property. What, Me Worry? Will the implementation of EMV standards affect your EBT program? To register, visit the Events and Registration page at www.efta.org. Registration will be available the week of January 21. By now you’ve probably heard or read the news stories about the use of state Electronic Benefits cards in vice locations like liquor stores, gaming halls, and strip clubs. Bill O’Reilly of Fox News, the New York Post the National Review and influential blogger Michelle Malkin have all weighed in on this misuse of taxpayers’ dollars this week. Let me say from the start, I think it’s reprehensible that an adult would take money intended to help poor children—to provide clothing, shelter and the necessities of life—and use that cash for their own gratification-booze, broads and bingo. But to read or see the stories this week you would think that 435 Congressmen, not to mention countless staff in multiple executive agencies, the White House, states, contractors and program regulators neither knew nor cared about what was going on. Nothing could be further from the truth. In December 2011 EFTA and eGPC representatives met with the General Accountability Office to define the problem of misuse of welfare funds and talk about what solutions would be practical in solving it. In January 2012 eGPC launched a survey of the 50 states to determine the extent of the problem and steps that states had taken to resolve it, since states are empowered by law to administer the electronic benefits programs. In February 2012 eGPC began work on a white paper, Restricting Access to Tanf Funds at Specific Merchant Locations. 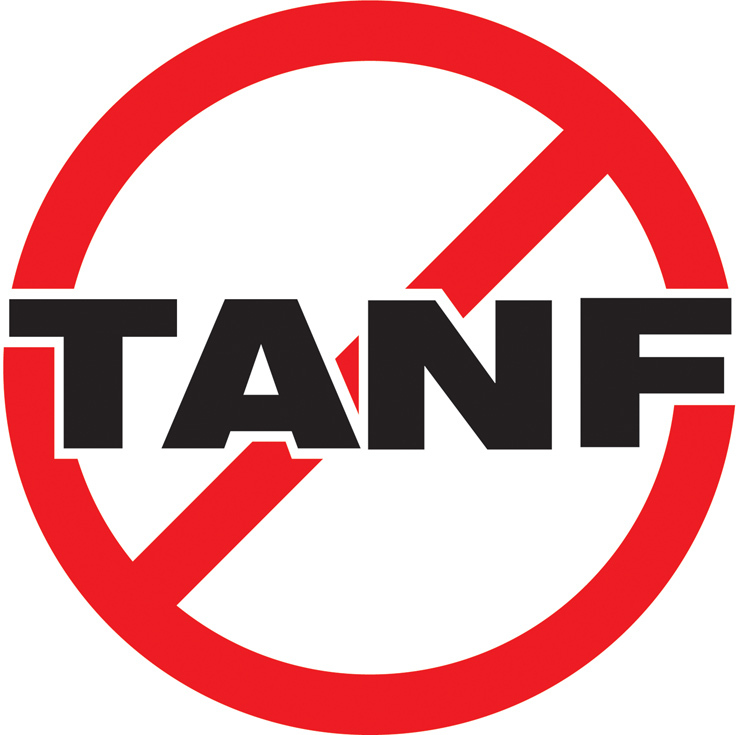 Tanf is the acronym for the program that distributes cash subsidies to poverty-stricken families. Also, in February Congress passed, and the president signed, the Middle Class Tax Relief and Job Creation Act. Section 4004 of that bill specifically made accessing or using Tanf benefits in liquor stores, casinos or strip clubs illegal. On April 17 of last year EFTA met with regulators from the Department of Health and Human Services, the federal agency in charge of the Tanf program to discuss how DHHS would work with states to enforce the law. Chairing the meeting was Mark Greenburg, Deputy Assistant Secretary for Policy, Administration for Children and Families. ACF is the branch of DHHS responsible for Tanf. A week later, EFTA hosted a webinar on the issue to explain to explain the new law and what states could do to comply with it. Mr. Greenburg, who would be in charge of regulating states’ compliance with the law, participated in the webinar, a sign that DHHS considered this a serious regulatory matter. On April 25, 2011 DHHS published a request for public comment on the new law and how states should go about enforcing it. Two days later eGPC released Restricting Access to TANF Funds at Specific Merchant Locations. In May, the eGPC conducted another survey of states, this time to gauge exactly the extent of the problem on a state level. On June 4, 2012 EFTA, on behalf of itself and its eGovernment Payments Council, responded to DHHS’ request for public comment with a 12-page reply. The comment letter included the results of the May survey of states, technical information, and recommendations on how to best enable compliance with Section 4004. In addition, scores of interested groups, companies and individuals submitted commentary to DHHS on compliance with Section 4004. Finally, in July of last year the GAO issued its long-awaited report, Tanf Electronic Benefit Cards: Some States Are Restricting Certain TANF Transactions, but Challenges Remain. Since then DHHS regulators have been engaged in the federal regulatory process: drafting regulations to ensure compliance with the law, reviewing them, putting them out for public comment one last time, and issuing the final regulations. This isn’t bureaucracy. It is part of our system of getting laws enacted and enforced in a fair, transparent and democratic way. I’m sure enactment of laws is faster and easier in Cuba or China. So images of pole dancing, cheap liquor and slot machine tendonitis may make for good copy, but they do very little to inform the debate on welfare fraud. And while most sane people want these tax dollars spent the way Congress intended them, stories of Tanf-financed strip trips do nothing to advance that cause. Next time one of these stories comes up let’s hope the media takes 20 minutes to dig in and find the real backstory.